Sometimes, it’s difficult to appreciate how students from vastly different Michigan school districts perform over time. Using research from Stanford University and Bridge Magazine’s Academic State Champs, this series of charts helps show how students in more than 500 Michigan public districts grow over time. In the first two charts, on third and eighth grade, you can see how family structure and income appear to predict student success. (Click on the buttons to toggle between the two grades.) When you look at overall gains (click on the the ‘see total gains’ button) you see that income is not as powerful a predictor: Students from all income levels have the ability to gain five grades or more during the five years from third to eighth grade. Put your cursor on the bubbles to see which districts they are. The bubbles’ size indicates district population. 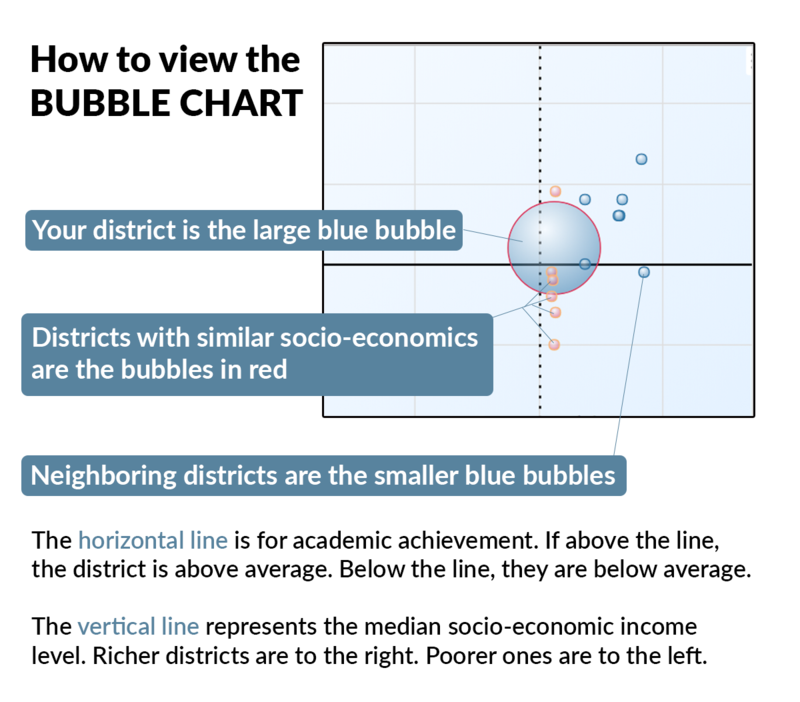 Richer districts are to the right of the vertical line, poorer ones to the left.